During my random browsing of the wonderful World Wide Interweb, I came across this website, Twisted Sifter, which seems to be a blog about damn near everything and whose objective is to: educate, entertain and inspire each and every day. And let me tell you, I was definitely entertained as I read/looked at their post about this super awesome graphic designer named Everett Hiller who photoshops celebs into his holiday party pics. Ok, I will be the first to admit, I am not a Photoshop expert. Honestly, all I know how to do is crop pictures in that mothersucker so needless to say, I'm easily fooled by photoshopped pictures. 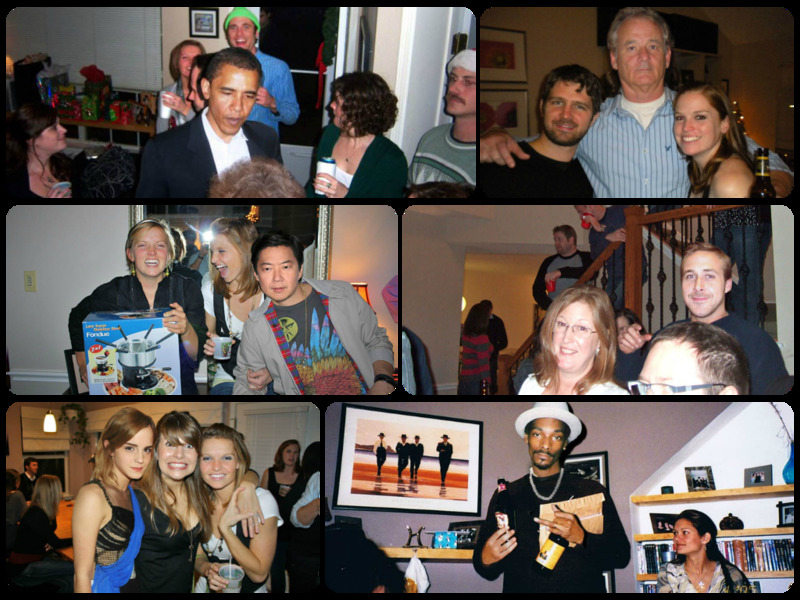 But seriously, this guy is amazing, 'cause I really thought Barack was chillin' in somebody's kitchen! And doesn't Ryan Gosling (looking super dorky, by the way) look like he's really there?! Check out all Everett's holiday pics here: http://imgur.com/a/s6dgU/all#52 You won't be disappointed.